After getting back to winning ways last season, Lydia Ko is enjoying renewed confidence, and with the new PXG GEN2 driver in the bag she’s hoping it will catapult her to more success. Ko won the Mediheal Championship last April which ended a 21-month winless spell, dating back to her outstanding four-win season of 2016. 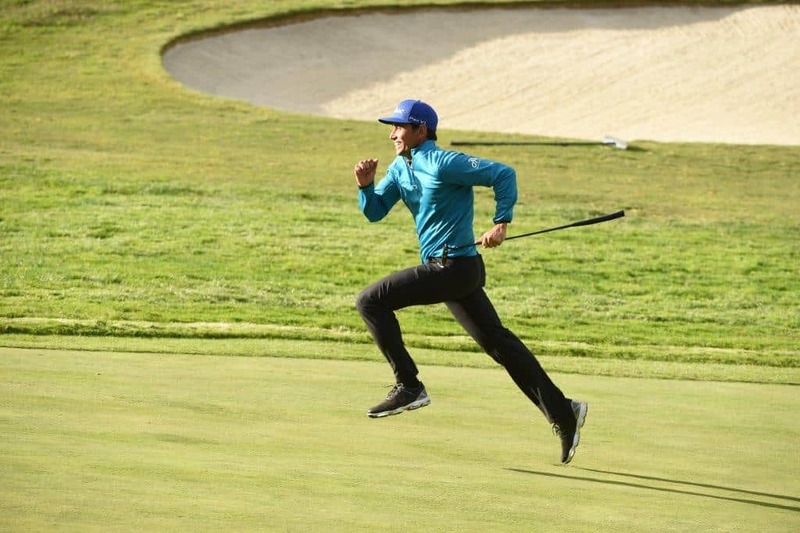 She began her 2019 campaign in style, sharing the 54-hole lead at the Diamond Resorts Tournament of Champions last month, before stuttering down the stretch, missing out on what would have been a 16th LPGA Tour title at the tender age of 21. Here, we talk to the affable former World No.1 to find out about her new gear and the key to her return to stardom. Worldwide Golf: Talk us through your season-opening event in Florida – a mix of good and bad? Lydia Ko: It was unfortunate that I hit some loose ones that cost me quite a few shots but apart from maybe three or four holes, I played really well. I feel there were lots of positives to take from the week. WWG: You’re using the new PXG GEN2 driver – when did you put that in the bag? LK: I used it for the first time the week before the CME Group Tour Championship in November and it’s been in my bag since then. I like what I’ve done with the club so far. I’ve found a little extra distance but the key factor for me was that on the shots I missed, the results were better than I expected. Consistency is a big thing with drivers. Obviously, it’s nice when they go really far but with the higher M.O.I. it improves the consistency of the strike, which is all-important. WWG: When the GEN2 irons were first introduced, you went out and blitzed the course on the launch day in Arizona, with something like 9 or 10-under par. Did that convince you that your game was coming back? LK: Yeah, definitely. It was just before the LPGA Tour’s West Coast Swing last year and I certainly felt like my game was almost there, although you always believe you can do better. I did feel my confidence was rising and for me confidence is a big thing. Week-in week-out your technique and skill level doesn’t change very much, but the more confident you are, the more aggressive you can play. That was the kind of mindset it created. WWG: Were there any changes you made to your swing, however small, or was it all down to confidence? I finish in the top ten. The confidence automatically rises and I go into the next event not really worrying about anything – I can just go and play my own game. WWG: You’re looking very fit at the moment – have you been hitting the gym harder than normal? improve my swing speed and consistency. So, it’s fun. Some days I didn’t really want to do it, but now I’m enjoying seeing the benefit of how it relates to my swing. WWG: Another physical transition you’ve made is that you’ve changed your hair colour! What made you go blonde? LK: I changed it in the middle of last year to an orangey-blonde colour, but when my black roots started to grow out I didn’t like how I looked, so I changed it to one colour. Also, I think it was a little too orangey for me, so I thought I’d try going full blonde. I can’t do this kind of thing when I’m 40 so I thought now is the time! I get lots of compliments for it, which is great, but at the same time, it means that I have to keep bleaching my hair, which isn’t the best thing for it! In my rookie year, I was dying it all sorts of colours – red, orange, purple – but I think I’m going to keep it blonde for the time being. WWG: What your perfect day away from golf? LK: I’d probably never leave my bed. I’d watch some movies starring my favourite actors in bed; I’d eat in bed; I just wouldn’t leave my bed the whole time!